Version 0.3.1 firmware for the ADB-USB Wombat is now available. The Wombat is a bidirectional ADB-to-USB and USB-to-ADB converter for keyboards and mice. 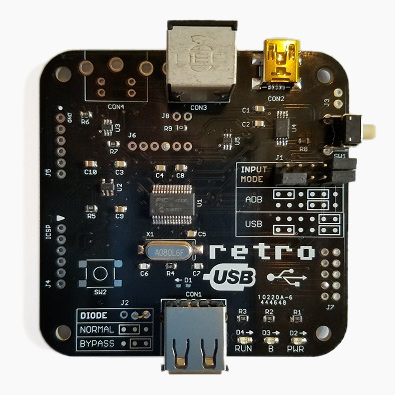 It enables the use of modern USB peripherals on vintage ADB-based Apple or NeXT computers, or ADB peripherals on modern machines equipped with USB. The Wombat is great for breathing new life into your vintage hardware collection. 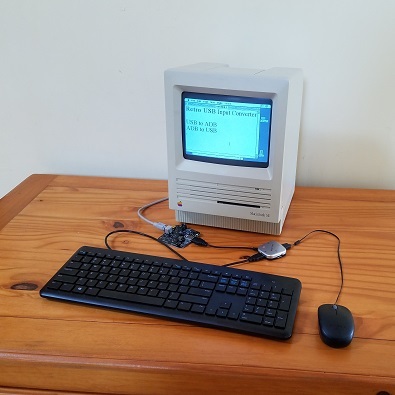 Firmware 0.3.1 fixes a small but important bug that affected a small number of USB-equipped Macs that were built between 1998-2003, including some G3/G4 models of iMac, iBook, Powerbook, and Power Macintosh. ADB-to-USB conversion worked normally on these computers when running OS X, but they were unable to detect the keyboard when running MacOS 9. The reverse USB-to-ADB keyboard conversion worked normally under both MacOS 9 and OS X. If you weren’t affected by this bug, there’s no need to update your Wombat and you can safely stay with firmware version 0.3.0. Bluetooth keyboards and mice generally will not work, unless the adapter just uses Bluetooth as the wireless mechanism but still presents itself as a USB HID device (not common). The current Apple Magic Keyboard presents itself as a USB HID device. I am using as such, as a USB device with the Pi, Pixel C android tablet and Windows computers for example. Nothing to do with Bluetooth. Still it must do something different that Wombat doesn’t catch it. Is the firmware for the ADB-USB Wombat open source?